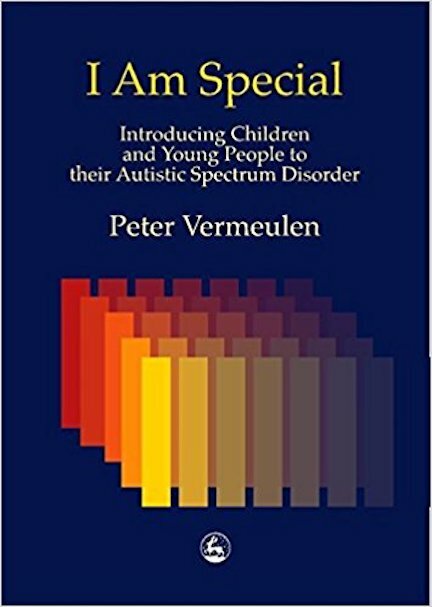 I am Special is a workbook developed by Peter Vermeulen and already used extensively with young people with autism spectrum disorder. The workbook is designed for a child to work through with an adult - parent, teacher or other professional. Unlike other books, its content and layout are devised especially for children who read, think and process information differently. I am Special is divided into two parts. The first is a theoretical introduction that explains how to inform children that they have autism or Asperger Syndrome and how to use the worksheets with groups or individuals. The second part consists of a series of worksheets which the child works through with an adult to create a unique and personal book about him or herself. It includes a series of exercises that present autism positively. They strike a balance between general facts, information about autism and personal information, covering the strengths an autistic person may have as well as the difficulties they may face. I am Special can be used with young people over the age of ten years. Not only is it an excellent source of information for the autistic child; it can be the first step in a process of counselling or psychotherapy or the springboard for a discussion group on autism.